Hello my lovelies! The best thing about Mondays is the Monday Blues post and this week's is no exception. I have a yummy jelly sandwich to show you, plus something extra on top. 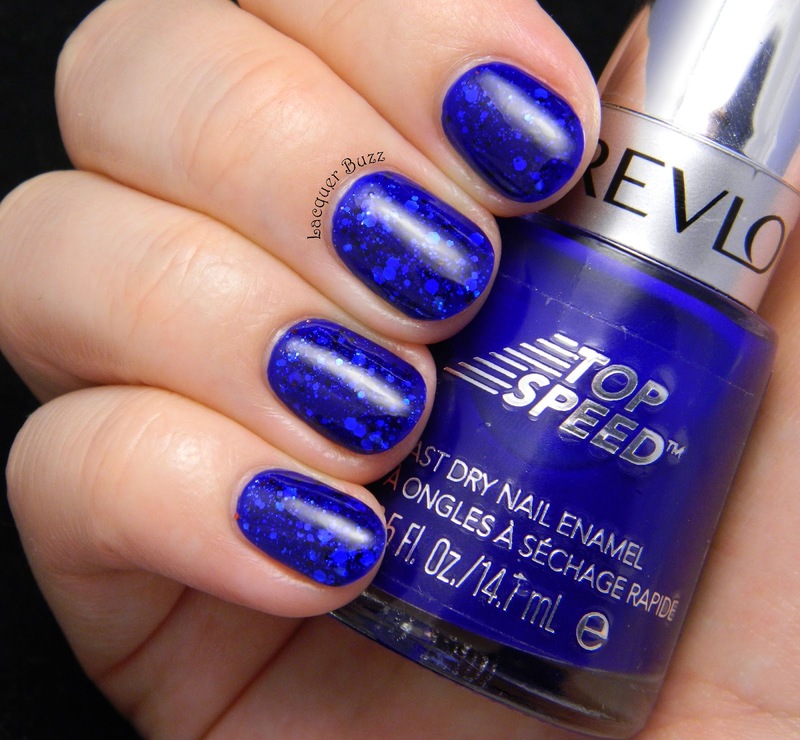 Some of you might remember that less than a year ago I got my hands on a bottle (or two) of the famous blue jelly that is Revlon Royal. 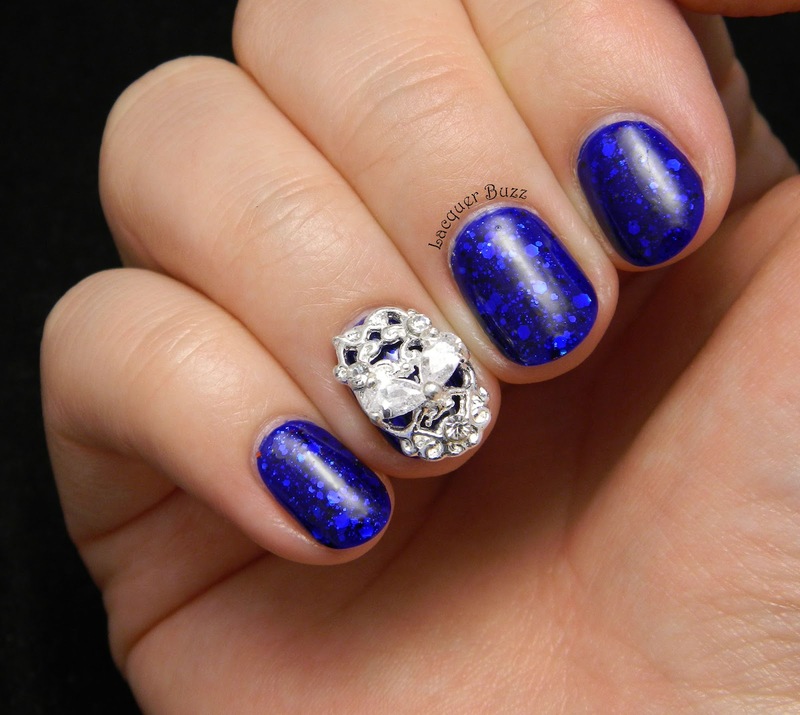 I did a Monday Blues post back then with swatches and a sandwich, but looking back on the result it wasn't the greatest there could be. That's because I used some large round glitters that didn't quite fit in the sandwich. So considering it's been a while since that post, I decided to revisit it and hope you won't mind to look at another gorgeous jelly sandwich. If you wish to see the original post you can find it here. I don't know about you but I'm absolutely thrilled with how well these pictures turned out. Royal is a darker jelly so the glitter underneath doesn't show very well, yet it photographed beautifully. I think that you know by now that I'm a huge fan of jelly sandwiches. I literally did two different ones last week. Talk about creativity. I just can't get enough! This jelly sandwich was very easy to create. 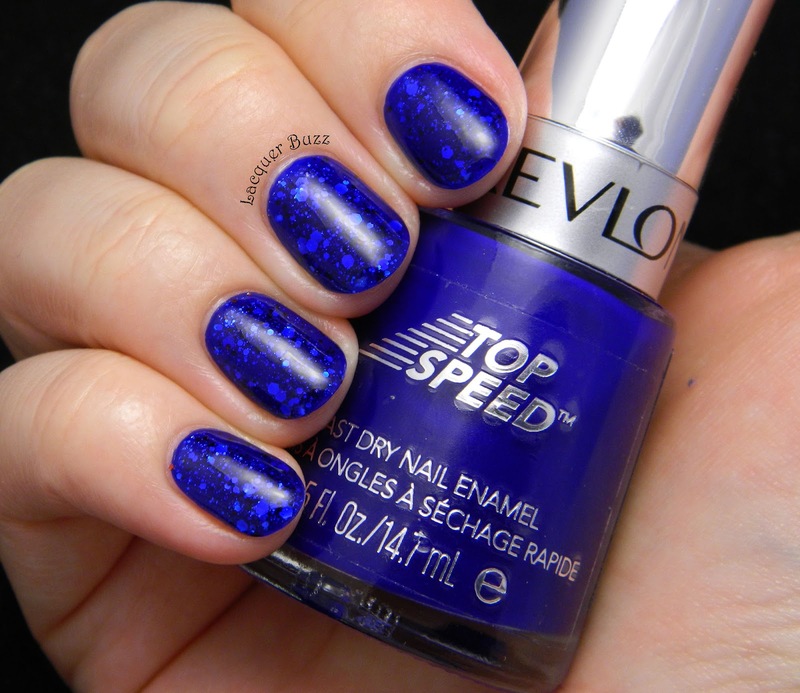 I started with two coats of Royal and then added a heavier coat of Shimmer Polish Nichole. Then I added another coat of the jelly and finished with top coat. After wearing it like this for a while, I decided to add an accent nail and used some nail shields* that I got to review from the Born Pretty Store. These come in sets of two so you can do an accent nail on both hands. They have different types both in gold and silver, with varying shapes and sizes. I chose some silver ones in the smallest size so they can perfectly fit the nail on my ring finger. As you can see, the size is perfect for me. I recommend measuring the size of your nail before you order these and choose accordingly. The bottom is slightly curved so it can fit your nail properly. These need to be secured with nail glue so they don't pop off. I know a lot of people don't like large 3D decorations like these, and I agree that they aren't for everyone, but they are fun for going out and such. If you like these nail shields you can find them here along with a lot of other nail art decorations. Don't forget that you can use code MFL91 at checkout to get a 10% discount. I hope you enjoyed this week's Monday Blues post! Make sure you check out the rest of this months posts by clicking the links below. WOOOOOW, am ramas cu gura cascata. Arata fantastic! I LOVE the jelly sandwich. It looks amazing! That nail shield is pretty cool. I might have to actually give them a try. 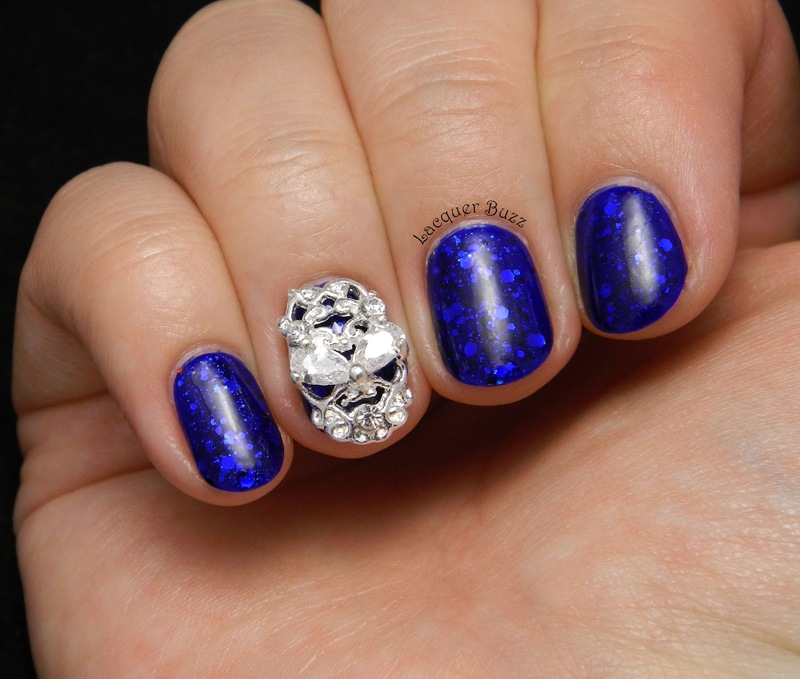 Stunning mani - love that nail shield, too! What an amazing look jelly sandwich! The nail shield looks awesome too. 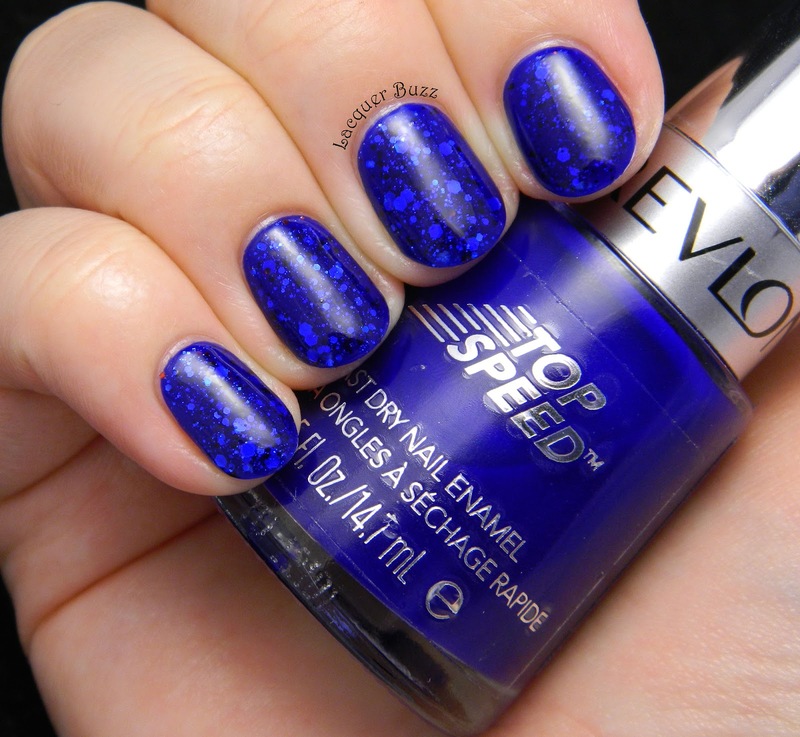 Great use of Revlon Royal! Typically, I normally only see it reviewed with Fantasy Fire (a match made in heaven!) - nice to see it used another way. And love that nail shield! Thank you for the fabulous photos!